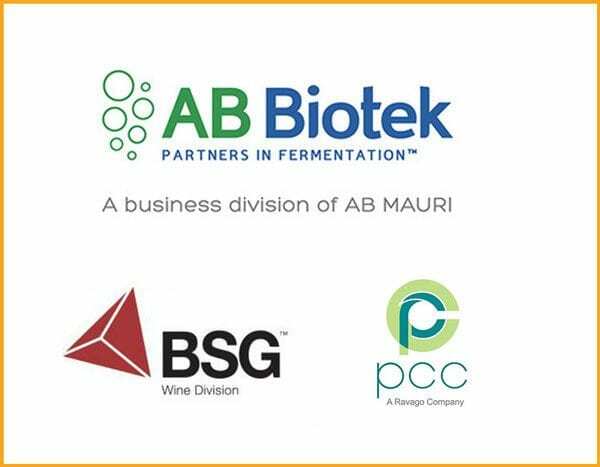 ST. LOUIS (Jan. 24, 2018) – AB Biotek – a business division of AB Mauri created in March 2017 – and both BSG and Pacific Coast Chemicals – leading distributors of wine fermentation yeast – have individually formed new agreements providing yeast for wine to the North America marketplace. Pacific Coast Chemicals will continue its distribution of the Maurivin portfolio of wine yeast in an arrangement that dates back to 2002, while BSG will begin distributing a new lineup of AB Biotek wine yeast under the Pinnacle brand. The agreement is further supported by each distributor’s outstanding track record of service and education, as well as co-branded advertising and marketing materials. The Pinnacle and Maurivin ranges consist of specially-selected yeasts that produce high-quality wines – from traditional red and white varieties to rosé and champagne. Beyond product, AB Biotek and its distributors Pacific Coast Chemicals and BSG assist customers by understanding their specific needs and requirements before recommending an optimal yeast strain for the ultimate end-use product. AB Biotek contributes to the success of customers through the delivery of superior technical service and fermentation expertise combined with quality yeast and technology solutions for the alcohol beverage, biofuel, and nutrition industries. AB Biotek has commercial scale yeast production capabilities in locations all around the world. Additionally, the AB Biotek North America region headquarters in St. Louis, Missouri, features a research and development laboratory that provides yeast and fermentation diagnostics. For more information about AB Biotek and its offerings, visit wine.abbiotek.com. Located in the Napa Valley since 2007, BSG Wine delivers top-of-the-line fermentation, cellaring, bottling and finishing products and other winemaking materials across United States and Canada. A team of knowledgeable and friendly sales and management staff comes directly from the winemaking community and can assist with everything from fermentation to troubleshooting. BSG Wine distribution centers strategically located across the U.S. help provide the products that customers need quickly and efficiently. More information is available at www.bsgwine.com.